Biblia: das ist, die gantze Heilige Schrifft Deudsch, auffs new zugericht D. Marth. Luth. Frankfurt am Main: Feyerabend, 1582. 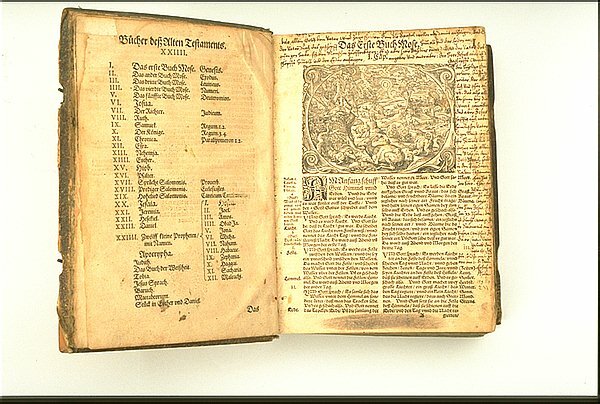 This bible differs from the others presented here because it is in German. Martin Luther (1483-1546), leader of the German Protestant Reformation, sought to place the Bible into the hands of ordinary Christians. He translated it from Latin--the language of scholars and clergy--into the German vernacular. This alone was a revolutionary act, in defiance of Rome, but it met with the support of local secular rulers. Luther protested church corruption, such as the sale of indulgences for financial gain, and rejected the pope's role as the infallible interpreter of scriptures. 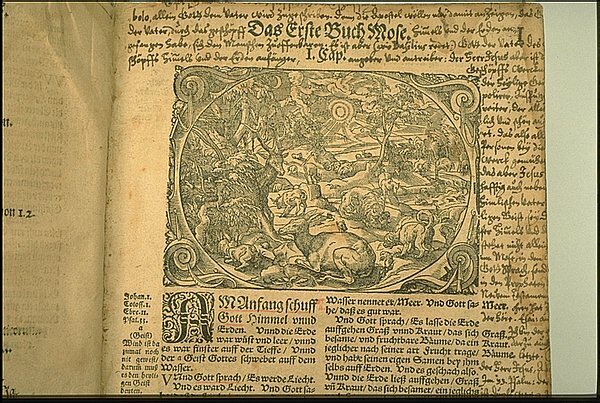 The complete Bible of Martin Luther was first printed at Wittenberg by Hans Lufft in 1534. 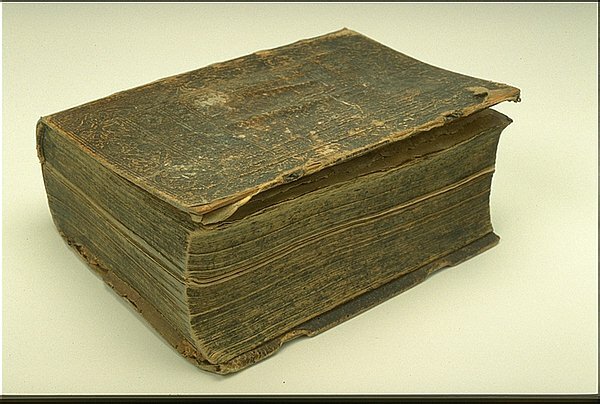 It is said that Lufft sold over 100,000 copies of Luther's Bible in forty years.